You might be wondering what to do with all the mullet that is harvested off of our southern Atlantic and Gulf shores. Mullet can be a tricky fish to catch for the recreational angler, which makes it quite rewarding when you get one or more. I think the best way to eat mullet is to cook it in your smoker. Of course, you can eat the freshly smoked mullet just as it is. Or, you might consider transforming it into a spread or a smoked fish salad. These two dishes are some Floridians’ favorites. Mullet is a slightly oily fish, yet the flesh is delicate. This makes your smoker the perfect vehicle for preparing the fillets. The natural oils keep the flesh from drying out. It also provides a good amount of Omega-3 fatty acids – the heart healthy fat. There are some debates about how best to smoke mullet: Skin on or off? Bone in or removed? Brined or just seasoned? I will address these questions within the smoking instructions. Of course, you will need mullet. If you are skilled enough to catch and clean your own fish, then by all means do that. Otherwise, you can buy whole mullet from your fish monger. Have him remove the guts and scale the fish. Butterfly the fish (or have your monger do this) to remove most of the bones but leave the skin on. * You can remove pin bones with tweezers. In a mixing bowl combine the salt, sugar, spices, and pepper with a whisk to break up any sugar clumps. Place 1/3 of the cure in a layer in the bottom of a non-reactive baking dish (glass works best). Place 2 of the fish, open and flat, skin side down, on top of the cure and press down lightly. Press another 1/3 of the cure into the flesh of the fillets. Place the other 2 fillets of fish on top of the cure that is on the bottom fillets, flesh side down. Pack the remaining cure on top of the fish and around the sides of the fish. Cover the dish with plastic wrap and place in the refrigerator for 8 to 12 hours, or overnight. Remove the fish fillets from the dish and rinse under cool running water. Pat the fillets dry with paper towels. Place the open and flat fillets, skin side down, on a rack inside a sheet tray. Place this in the refrigerator for 2 to 3 hours to allow the fish to air dry. Take the tray out of the refrigerator well before you prepare your smoker, approximately 45 minutes, to allow the fish to come to room temperature. Preheat your smoker to between 120˚F and 170˚F (lower if you have time to kill). Add the wood chips to the side tray or the bottom of the smoker, depending on whether you are using electric or charcoal. Add water to the smoker bowl with the lemon slices. Open the top vent to allow for some smoke to release. While the smoker is warming up, mix together the olive oil and seasonings. Brush this on the flesh side only of the fish. Place the butterflied fish fillets, skin side down, directly on a rack inside the preheated smoker. Smoke for 1 hour, and then check the internal temperature. You are looking for approximately 140˚F to 145˚F. Continue smoking until that proper temperature is reached. Replenish the water and wood chips as needed, approximately every 60 minutes. You will know it is time if you don’t see any smoke from the vent. The total smoking process may take 2 to 3+ hours low and slow depending on the temperature of your smoker. Naturally, this is the best part of the steps. 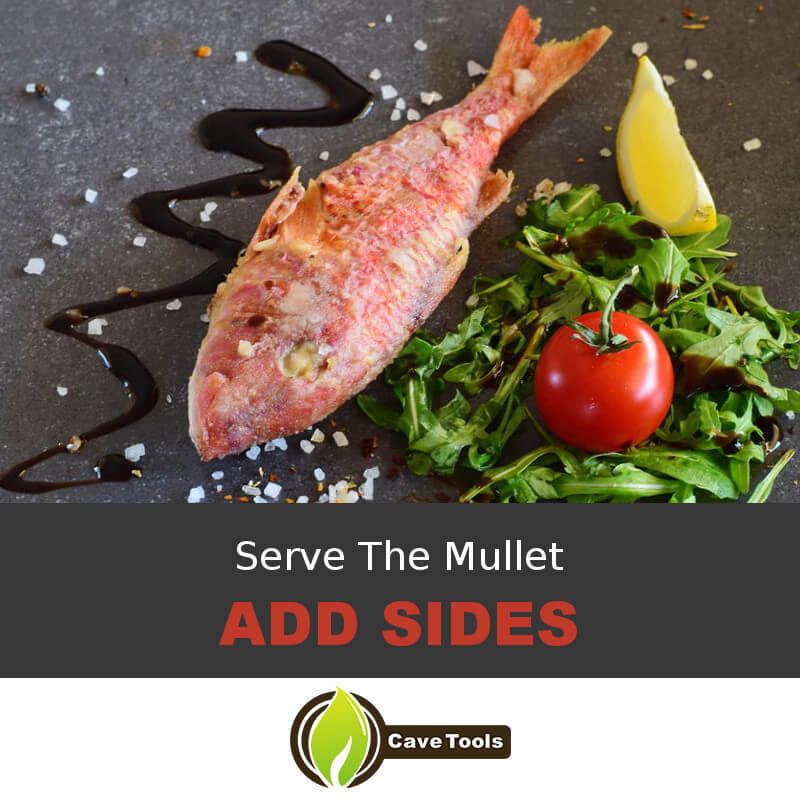 You can serve your mullet just as it is with some lemon wedges and some toasted baguette slices. Smoked fish can be served either warm or at room temperature. If you went the spicy route with Creole Seasoning, consider serving a cold potato salad and maybe some pickled vegetables, such as beets and red onions. You can make these a day ahead. Hopefully, you now have the tools and know-how to dry brine and smoke those tasty mullets using the list and step-by-step instructions described here. Feel free to experiment with your own signature seasonings to personalize the recipe. There is no rule that dictates what flavor you need to stick with. You can do a much larger batch if you have a big catch. Smoked fish will keep well in the refrigerator for days. It can be eaten as an appetizer, a snack, or an entrée. If you try this out, please let us know how it went and if you enjoyed this tutorial and the end results. We love getting feedback from our readers and home chefs. If it went well, share the recipe with your fellow smoking and grilling enthusiasts. What does smoked mullet taste like? Mullet is a fish commonly found in the South, especially in Florida. It’s an oily fish with a fishy flavor, but it tastes incredible after being smoked on the smoker for a few hours. It has a meaty consistency and smoking it gives it a briney, slightly sweet flavor. What temperature do you smoke mullet? If you’ve brined your mullet, it’s safe to smoke at cooler smoking temperatures, like 120 degrees F. It would take about 2 hours to smoke at these temperatures. If you want to smoke your mullet faster, it would take about an hour at 150 degrees F, or about 30 minutes at 200 degrees F.
How long do you smoke mullet? You’re looking for an internal temperature of 140 to 145 degrees F. If you don’t have an instant read thermometer, you can test the doneness with a fork. If the surface of the fish is golden brown and the flesh flakes easily when poked with a fork, the mullet should be finished cooking. The best way to be certain when your mullet is finished cooking is to use a thermometer. Do you have to brine a mullet? Yes, we definitely recommend brining mullet fish before smoking it. 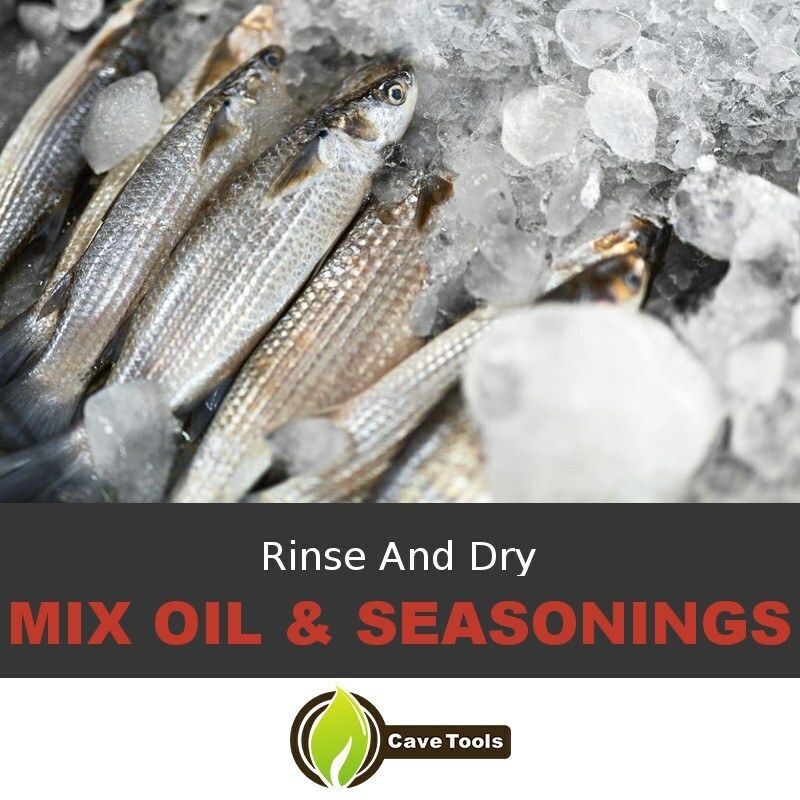 The salt not only cures the fish, making it safe for lower temperatures on the smoker, but it also adds flavor to the fish as well. We like making our brine with salt, sugar, and Old Bay or Creole seasonings. 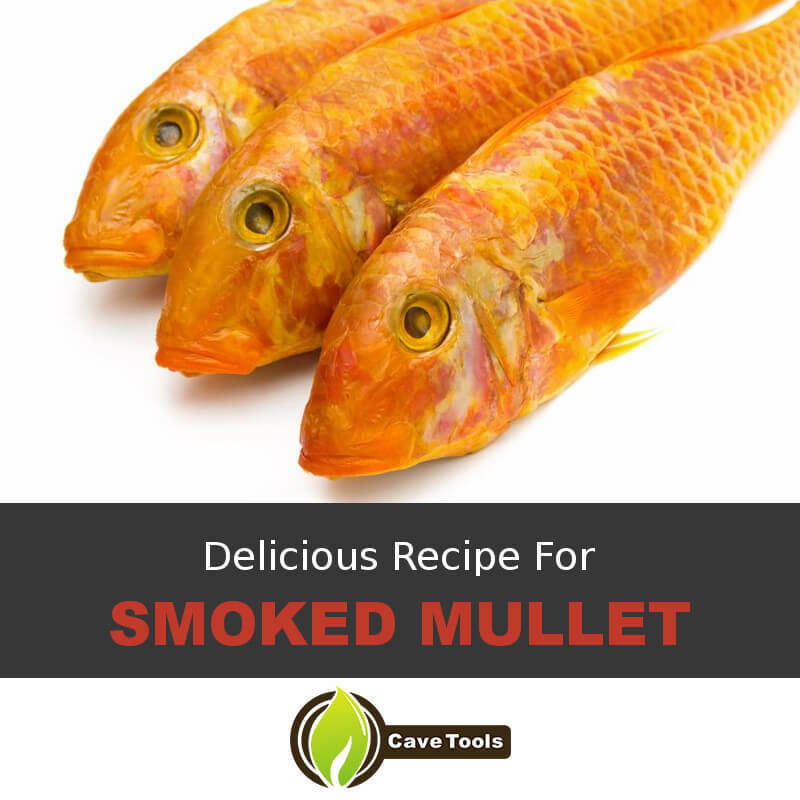 How do you serve smoked mullet? While some people eat smoked mullet as an entree with side dishes, we like turning it into smoked fish dip. You could also serve it on a charcuterie board alongside pickles, mustard, and baguette.